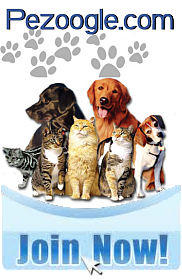 April 22, 2019 8:45 pm You are here:Home My Pet Cats Purina ask Cats Or Dogs: Which Is America’s Favorite Pet? 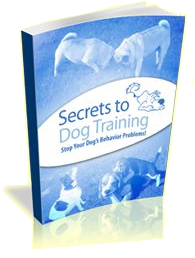 ST. LOUIS, Oct. 8, 2012 /PRNewswire/ — Are you a cat person or a dog person? Purina is calling all pet owners, pet lovers and anyone else who's ever enjoyed the presence of a cat or a dog to join in "America's Pet Debate" and help settle the age old cats versus dog debate, once and for all. America's Pet Debate is an opportunity for pet owners to come together for a fun, lighthearted discussion of cats versus dogs ultimately celebrating what makes each species so great. The initiative will help to raise money for Pet Partners' Veterans Programs to provide animal-assisted therapy for America's military veterans. 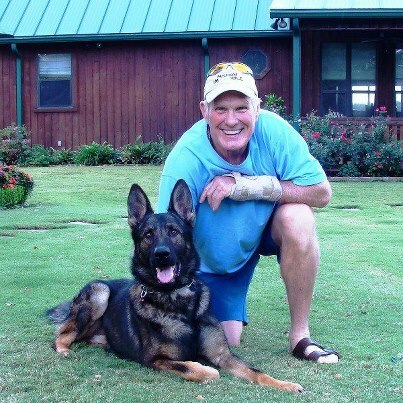 Even NFL football legends, Terry Bradshaw, a devoted dog person, and Howie Long, a committed cat owner, have declared where they stand in the debate to raise awareness of the benefits of pet ownership and encourage Americans to vote for their favorite pet to help raise funds to support Pet Partners' Veterans Programs. 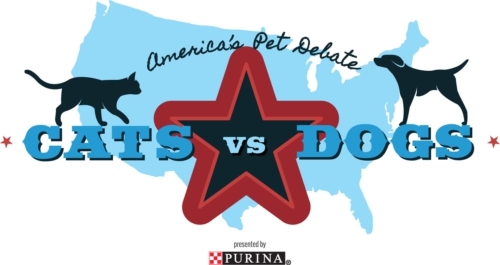 From now until Nov. 8, 2012, Americans can vote for Team Cat or Team Dog at www.AmericasPetDebate.com or Facebook/AmericsPetDebate. For each vote cast in America's Pet Debate, Purina will donate $1, up to $100,000, to Pet Partners' Veteran Programs (limit one vote per person per day for all voting channels combined). The donation will help fund Pet Partners pet therapy teams for U.S. veterans by providing the mental, physical and emotional support of cats and dogs through animal-assisted therapy. Purina will proudly declare America as a cat or dog nation on Nov. 9, 2012. "Dogs have been a part of my life since my earliest childhood memories – I can't imagine coming home and not having at least one dog greet me. Everyday, I enjoy the companionship and fun that comes with owning dogs," said Bradshaw. "A pet provides immeasurable support and comfort to people and asks for little in return." While Bradshaw and Long hotly debate whether America is a cat or a dog country, both are on the same side with Purina in its support of Pet Partners' Veteran Programs. "As an owner of four pets, including two cats, JoBu and Lucky, I've experienced firsthand the many benefits of owning a pet. My family and I rescued our cats when they were just kittens and gave them a safe home. Our cats have given us a lot back – they like you every day no matter what – even if you've had a bad day," said Long. "I'm proud to partner with American's Pet Debate to help drive votes and raise money to provide animal-assisted therapy to U.S. military veterans." After you cast your vote for Team Cat or Team Dog, campaign for your species and join the conversation about the benefits of pet ownership on Facebook, Twitter, Pinterest and Instagram using the hashtags #VoteCat, #VoteDog or #PetDebate. Purina invites pet owners to share pictures, advice, tips and pet ownership stories. If you're unsure about which team to vote for, you can take a brief quiz to determine whether Team Cat or Team Dog is right for you. "America's Pet Debate is a fun break from some of the more serious issues that we face everyday and allows us to take some time to explore the joyful reality of owning a pet," said Brenda Bax, director of the Purina Pet Acquisition Team. "The program also lets pet owners to support the needs of America's military veterans by helping them connect with a dog or a cat via animal-assisted therapy for mental, physical and emotional rehabilitation." For additional information, please visit www.americaspetdebate.com. The North American headquarters for Nestle Purina PetCare is located at Checkerboard Square in St. Louis, Mo., where Ralston Purina was founded more than a century ago. Nestle Purina PetCare promotes responsible pet care, humane education, community involvement and the positive bond between people and their pets. One of the leading global players in the pet food industry, Nestle Purina PetCare is part of the Swiss-based Nestle S.A. – the world's largest food company. Pet Partners, established in Portland as Delta Society in 1977, is an international nonprofit organization dedicated to improving human health and enriching lives through positive connections with therapy, service and companion animals. The organization's Therapy Animal Program trains and evaluates volunteer therapy animal teams. Its Service Animal Program provides information and resources for people with disabilities who are considering getting a service dog or who are currently partnered with a service dog, and its Companion Animal Program educates individuals and families on the ways companion animals can improve health and well-being in everyday life. Each year, Pet Partners' 11,000 therapy animal teams visit more than 1 million people across the United States and in 14 other countries. For more information, visit www.petpartners.org. Beginning at 12:00:00 p.m. CT on 9/17/12 and ending at 11:59:59 a.m. CT on 11/8/12, or when the maximum aggregate donation of $100,000 is reached, whichever comes first, Nestle Purina PetCare Company ("Purina") will donate $1.00 to Pet Partners for every vote submitted to America's Pet Debate. Limit 1 vote per person/e-mail address, per day. Valid in the 50 U.S. states and D.C. Must be 18+. Void where prohibited. Owners And Pets Exercising Together (OPET): Study Design And Biopsychosocial Descriptors Of Dogs And Their Owners. Goodie, Jeffrey; Wilson, Cindy C.; Stephens, Mark; Byers, Christopher G.; Olsen, Cara; Netting, F. Ellen; Yonemura, Mary; McCune, Sandra. Annals of Behavioral Medicine. 2010 Apr; 39, Supplement 1: 33-33. The Human-Companion Animal Bond: How Humans Benefit. Friedmann, Erika; Son, Heesook. Veterinary Clinics of North America: Small Animal Practice. 2009 Mar; 39(2): 293-326. Thanks for the post about animals. Great article and a great read. I just posted something similar to what you’re talking about on my blog.